From Roger Fenton to Julius Shulman, architectural photography has been around for a large portion of modern time. During that period it evolved accordingly to the progress of the camera, allowing for better takes of various constructions. Dario Zini studied architecture in Venice, Italy and after that he joined the architectural program at the New Jersey Institute of Technology in Newark, NJ. He has done photography since his teen age, but for a certain time he suspended his photography because of college. 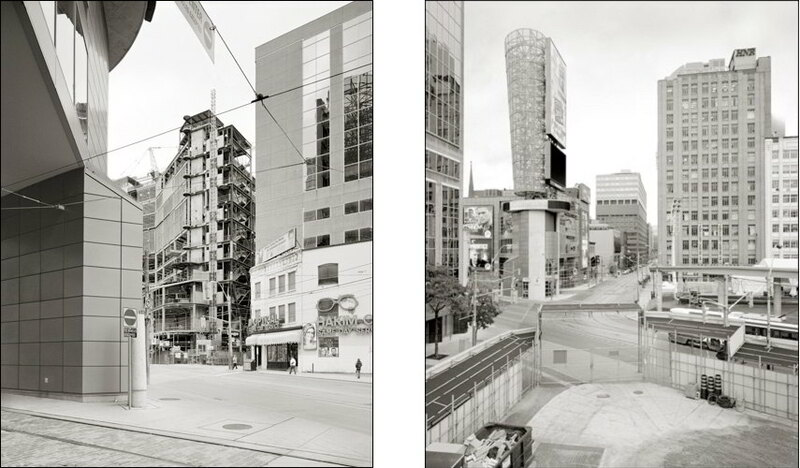 After he got his Master of Science he moved to Toronto, where he once again began with photography. 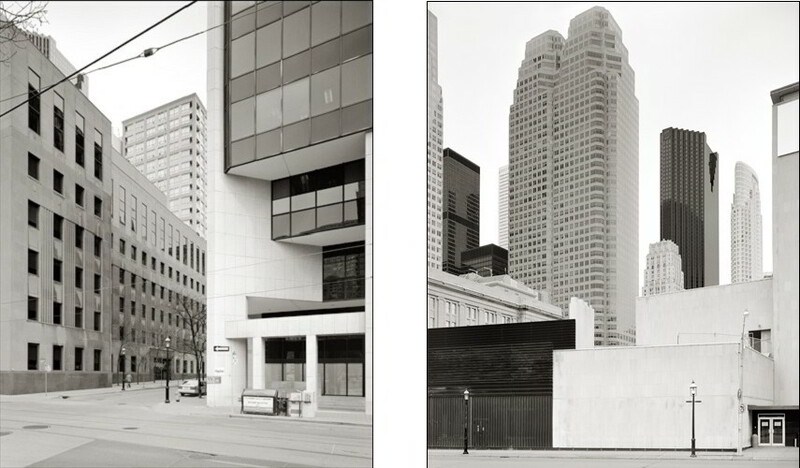 His photos mostly put a question mark between the technical documentation of buildings and the person’s view of them. When it comes to the technical part of Zini’s photographs, he makes sure there aren’t any people in the shot. With that and by strictly doing black and white photography, aesthetically speaking, his work creates an empty impression. By doing this he makes sure the attention isn’t dragged away from the urban environment – the main focus of his photographs. The way the skyscrapers rise up to the sky or certain staircases lead from one part of a construction to another, it all shows the urban jungle through which people daily try to find their way. 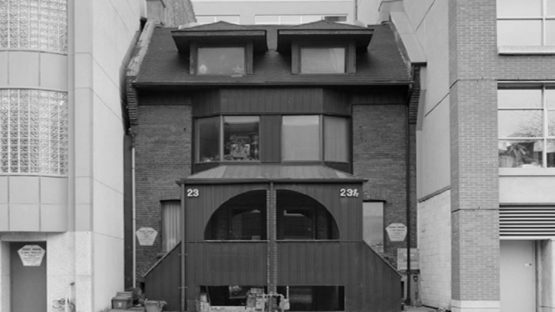 Most of the shots are of Toronto, his current residence and through them,you won’t be able to perceive the sole visual of the city. 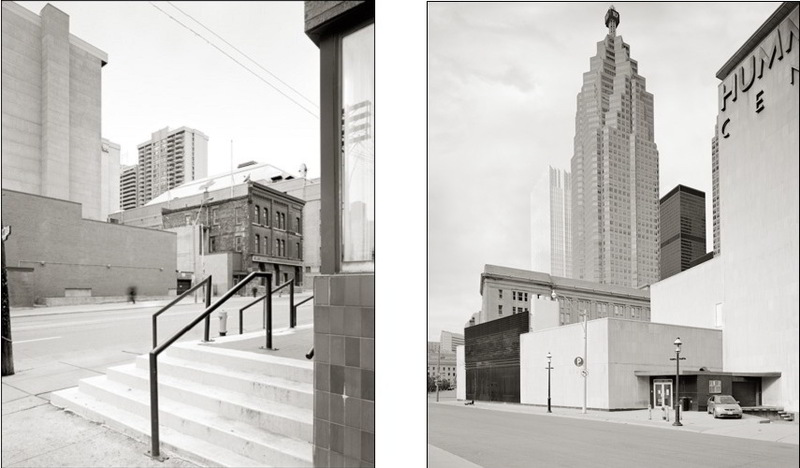 The intention of his photographs isn’t just to visually show how a city looks like, but to show what are the paths, obstacles, and shortcuts of its architecture. Although Zini doesn’t show people directly, only the buildings, there’s still an important thing to have on the mind. The thing to remember is the fact the urban jungle was made and customized by human hands. Every building material used in those skyscrapers, bridges and roads are there because it fits the functionality of urban life. Because of that, these photographs can be used as a good observance material when wanting to understand the way people build and shape a certain town. The black and white only helps the given idea by showing the hard angles of the buildings and where the daily light is blocked because of the massive constructions. Architectural photography has a special place in preserving the idea of a given city at the given moment. The new photographs show how a city currently looks and the old show how something used to look. To preserve the never ending task, the kind of work Zini does is needed. Because of the practical architectural knowledge, he is able to find the right angles and corners for his cadres. The end result is photographs that show exactly what was intended – the land humans made. Dario Zini lives and works in Toronto, Canada.